PROMO CODE ALERT! 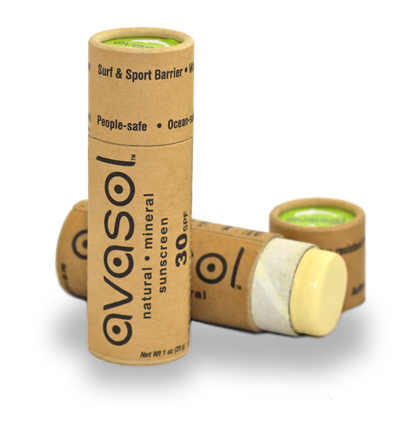 We like the philosophy of Avasol -“sustainable skin care for active, health-conscious people”. Even their name reflects this: “Ava” from the Samoan word for respect and “Sol” for the Sun. Respect the Sun. Their Surfer’s Barrier Stick is a great example of their philosophy. Presented in a unique biodegradable tube made out of recycled paper, this broad spectrum, 30 SPF, natural, mineral sunscreen goes on smoothly and has a hint of color. It’s non-greasy, ocean-safe and water resistant up to 80 minutes. Our friends at Avasol are offering our TrailblazerGirl readers a special promo code, “trailblazergirl”, for 10% off your purchase.